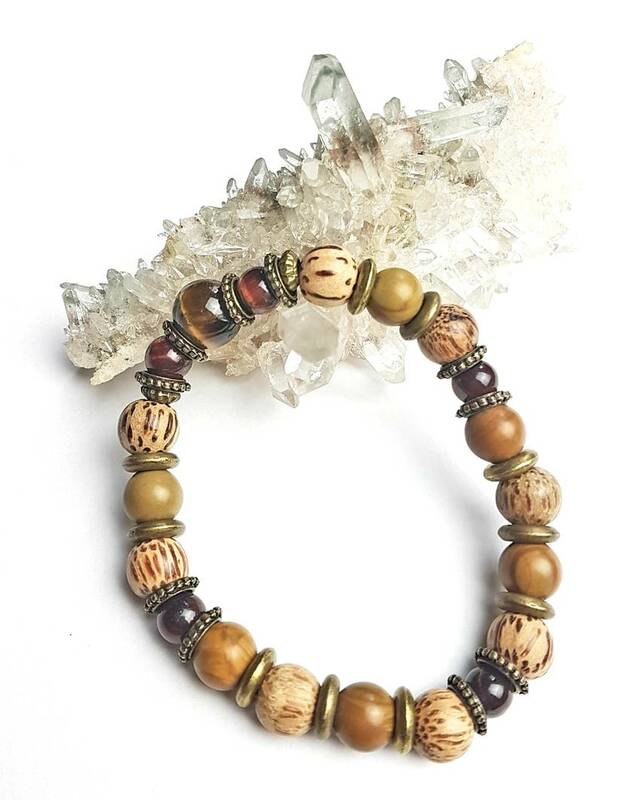 Wood grain jasper, tigers eye and wood beads strung on strong stretch elastic make up this amazing piece. 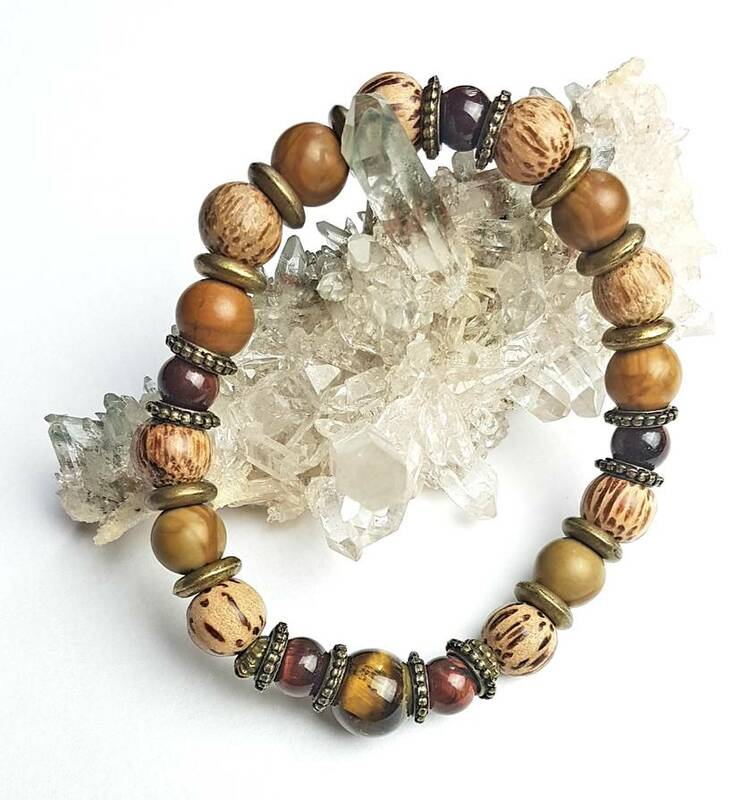 Tigers Eye Stone is a crystal with lovely bands of yellow-golden colour through it. 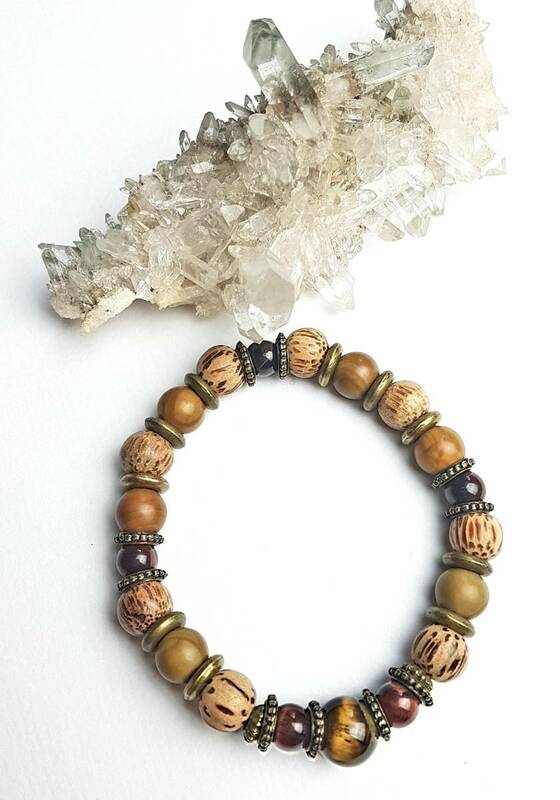 This is a powerful stone that helps you to release fear and anxiety and aids harmony and balance. It stimulates taking action, and helps you to make decisions with discernment and understanding, and unclouded by your emotions. If no size is selected you will receive a medium sized bracelet.To protect the longevity of your jewellery remove before sleeping, while bathing or swimming. All my jewellery is made in an environment of peace and harmony, each item is carefully handcrafted by me and infused with positive energies.